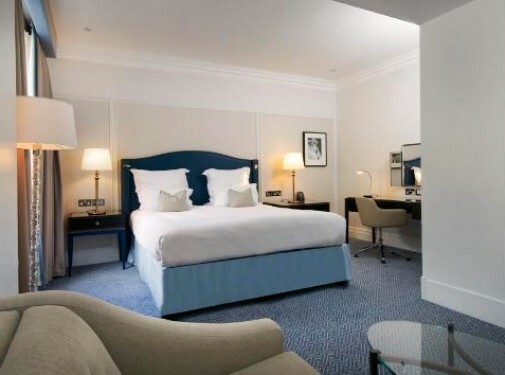 I was reminded today of a little Hilton website trick that has saved me a fair bit of money in the past, and thought it worth sharing – in this case it saved me £4 a night and got me a free dinner. So there we have it – seemingly the best price for my dates is £247. I therefore selected this, prepared to lock in the £247 a night rate. Again, my best option appears to be the £247 rate, offering a modest saving to me as a Hilton Honors member. Sure enough, when I bring up the “more prices option, not only am I offered a room at £243 a night, it includes dinner! As such, in not blindly going with the “best” rate flagged to me by the Hilton search function, I save myself £4 a night and get a free dinner. This is not an isolated example. I am an extremely frequent visitor to the Hilton website, and I have fairly regularly found interesting or better offers in the “more prices” section. Sometimes this has been a better rate for an entirely equivalent room (e.g. non-flex versus non-flex), other times it’s included an extra like dinner for just a couple of pounds more. I was simply looking to get the cheapest rate here. I know I am making this stay, therefore all I was looking for with Hilton was the cheapest non-flex rate. As such, this really is money shaved off my stay and a free dinner. So get into the habit – always check those hidden options available via the “more prices” link. This has worked for me in the past as well. Looking for a room in the DoubleTree by Hilton Resort in Penang, standard rooms already had a lower rate when clicking through the ‘small print’. But I found out that some odd ‘heritage package’ rate for 5 nightst in a one bedroom suite was 367 MYR as opposed to the lowest 455 ‘large print’ rate, both nonrefundable. I can see room availability with points whilst not logged in but when you click the room to see cash & points options etc it asks for a login and then the points option disappears…. very annoying! Where are you searching. I’ll take a look. Thanks for helping out Charlie! Always good to see. Ever since Hilton rejigged their award price system, I’ve noticed these sort of dirty tricks come into play far more frequently. Technical anomaly or technically designed? Good question. I don’t think it’s “dirty tricks” as such, I just think they sometimes load up packages like the “dinner inclusive” ones at slightly inconsistent prices, perhaps down to a failure to adequately compare them to what else is available. I see it as a positive, provided you remember to check the “more prices” option. So in answer to your question, I will perhaps naively submit “technical anomaly”. 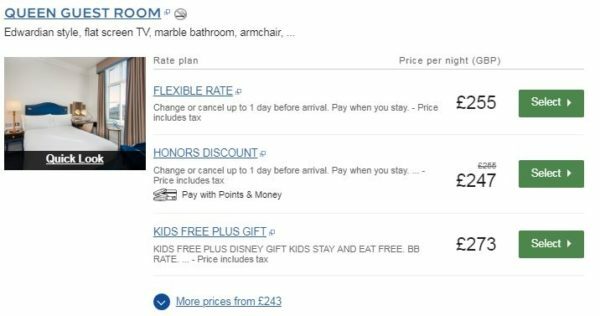 Turns out Hilton can reward you for a long stay with a free or discounted breakfast, just look beyond that “More prices from…” line. Thanks for the reminder as it slips of the radar too easily. 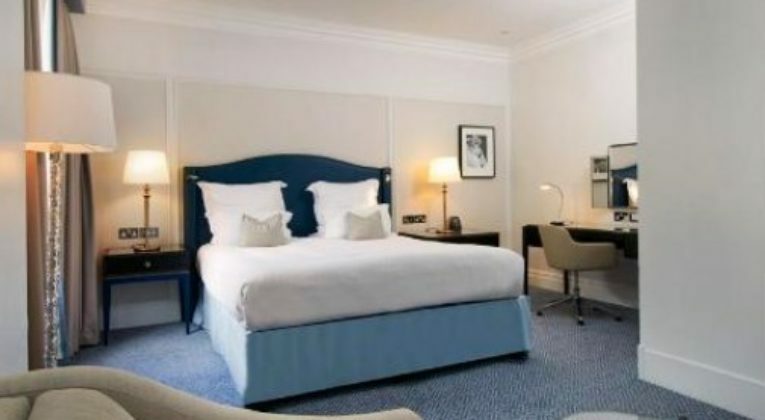 Marriott have a similar offering and sometimes you can get a couple of thousand bonus points for paying just a few extra pounds. Good tip re Marriott – cheers!